Each iteration of the poster holds a different portion of information as the focus, along with a different visual style. 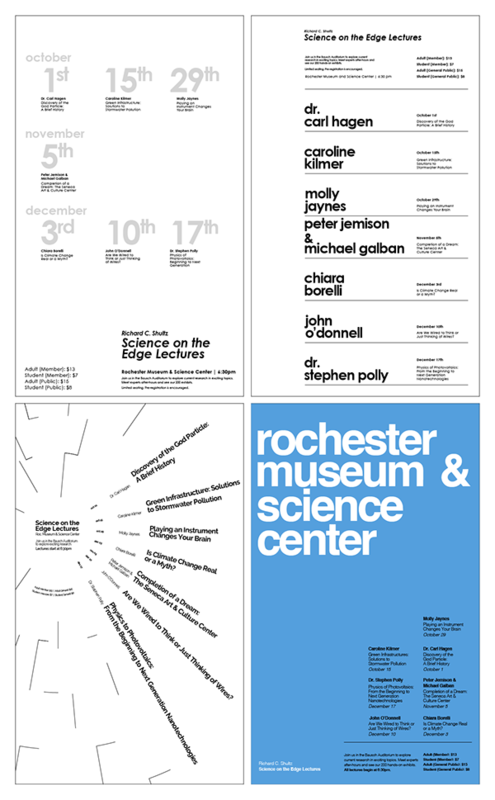 A poster series for the Rochester Museum and Science Center. Each poster has a different aspect of information as the focus. Top left focuses on dates, top right focuses on speakers, bottom left focuses on lecture titles, and the bottom right one is ornamental.